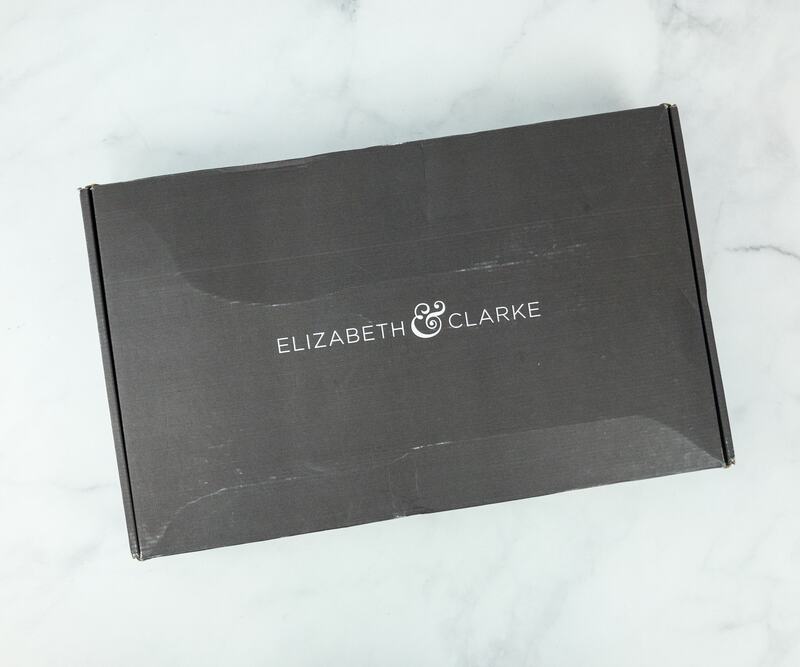 Elizabeth & Clarke Suit Separates Winter 2018-2019 Review + Coupon! 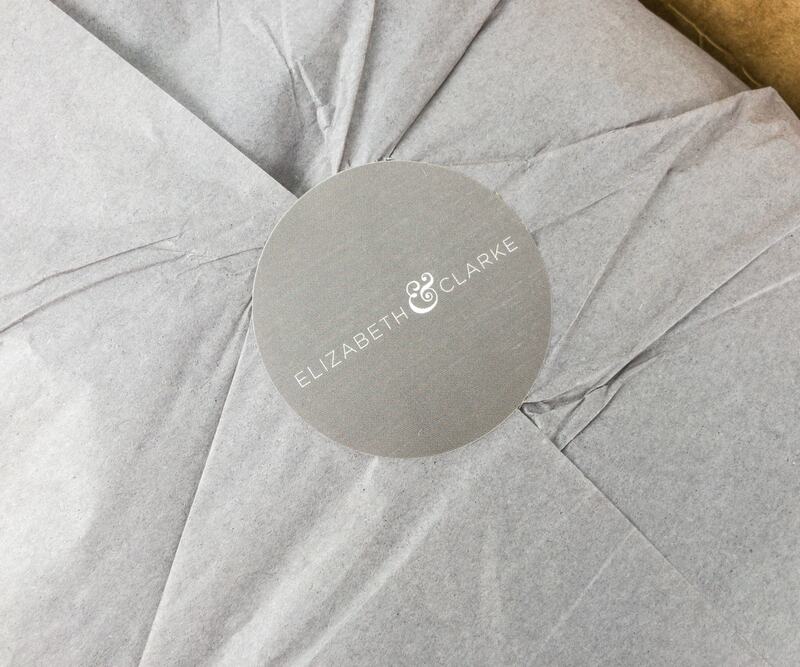 Elizabeth & Clarke is designer-quality clothing delivered to your doorstep each season, without hassle or the department store price tag. The Suit Separates Collection is the new subscription with such phenomenal value for the price and quality! Choose between 1, 2, or 3 Separate Plan, starting at $120. Find yourself on the hunt for well-fitting, affordable, and chic workwear? 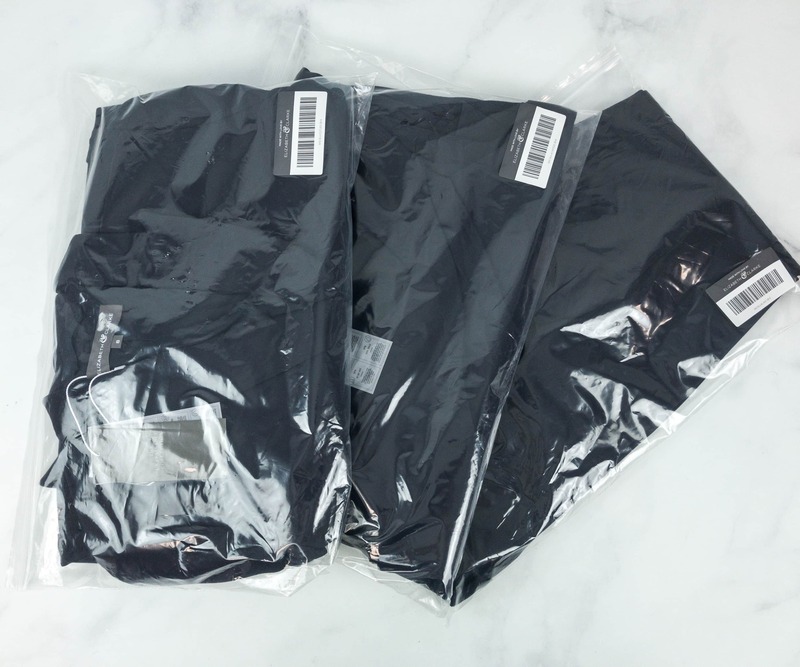 Tired of dealing with fake pockets and dragging hems? 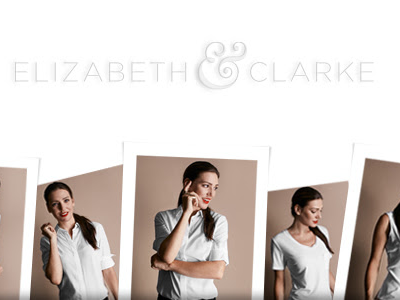 Want more Elizabeth & Clarke in your closet? Your prayers have been answered! We’re proud to introduce our premiere Suit Separates Collection! Our newest subscription plan will ship twice per year—in summer and winter—and feature three mix-and-match separates each season. Our Winter Suit Separates Collection will ship on December 1st and features three all-new Unstainable® styles in a rich, navy double-knit ponte. DEAL: Save 10% on your first box! Use coupon code CHELLO10. The Suit Separate Collection subscription is now open for Summer! 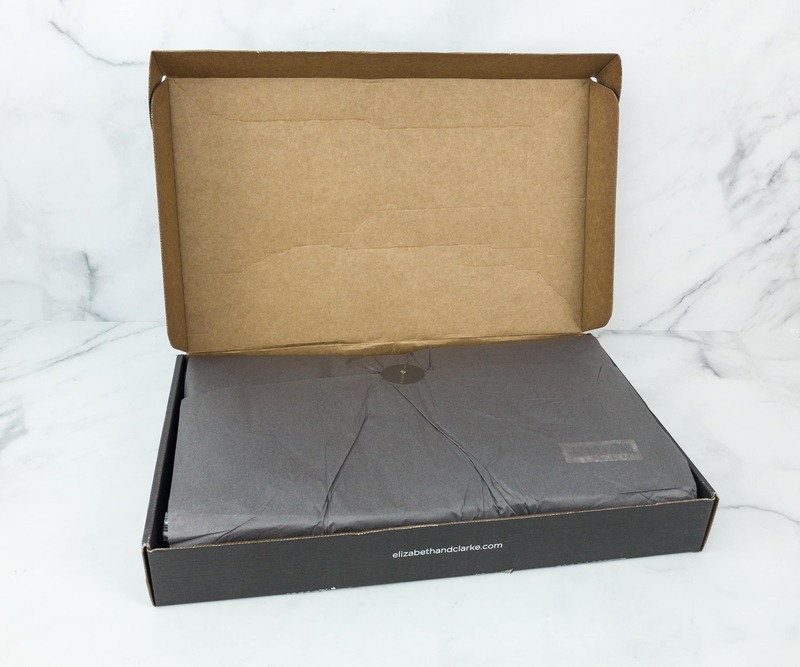 The contents of the box are wrapped in gray tissue paper with a sticker seal. Also, the items are individually wrapped in plastic to protect them. There are 3 clothing pieces inside the box! The Blake. 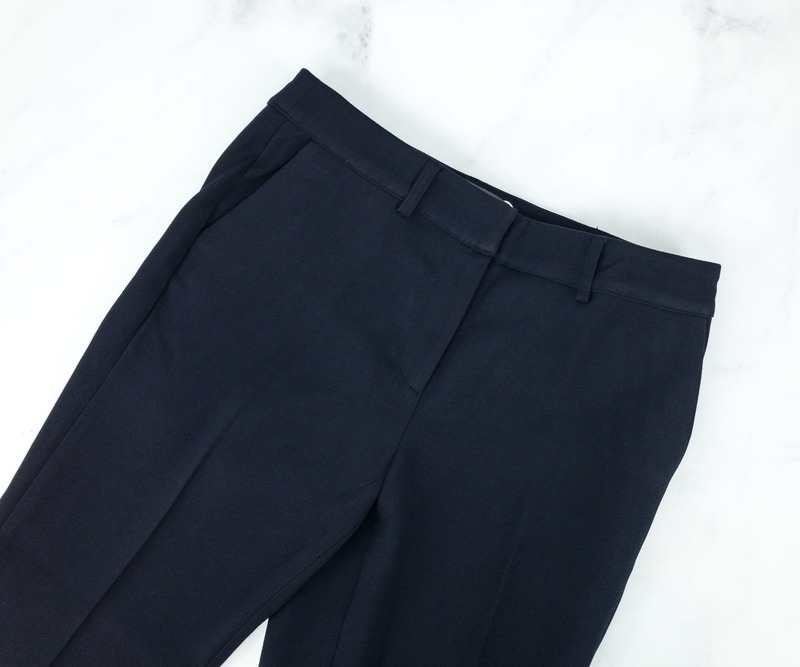 The first item is a really chic cropped trouser. 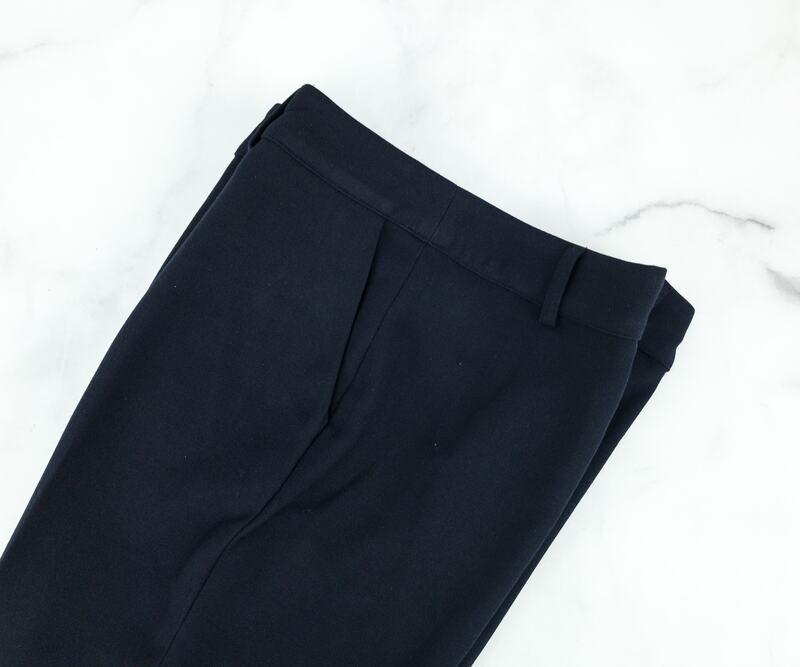 The midnight-navy trouser is made from Double-Knit Ponte. This style runs true-to-size with a cropped fit and the look may also depend on your height. 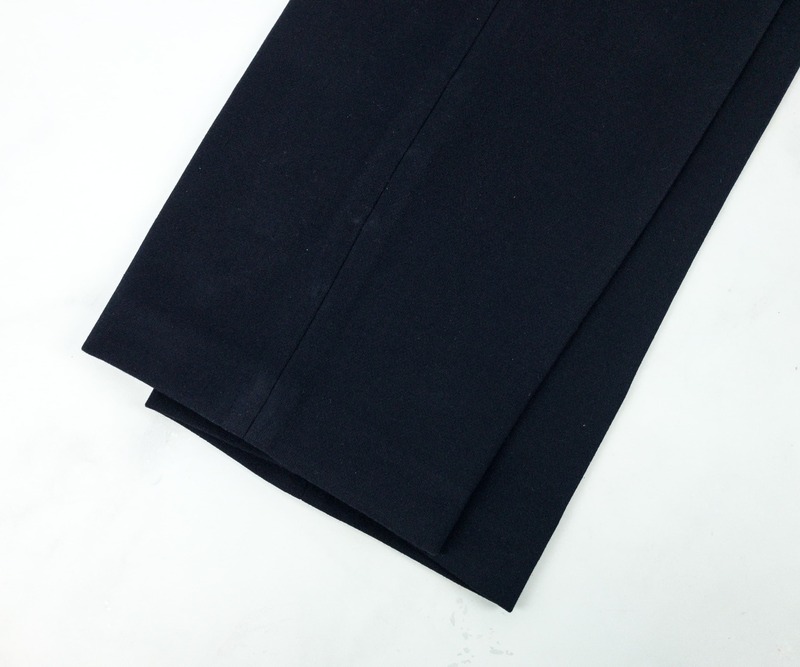 It is a tailored, mid-rise pair of pants that elongates the leg. It has a front zipper and a double hook-and-eye closure for extra security. It has functional pockets for small items that you need to bring without an extra bag. 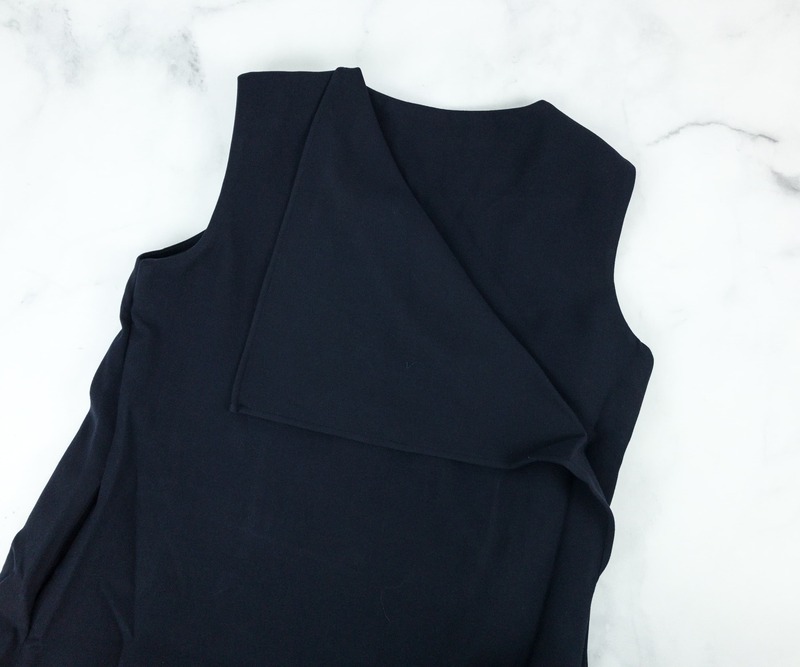 They also added snaps to make the hems adjustable so that you can find your perfect crop. 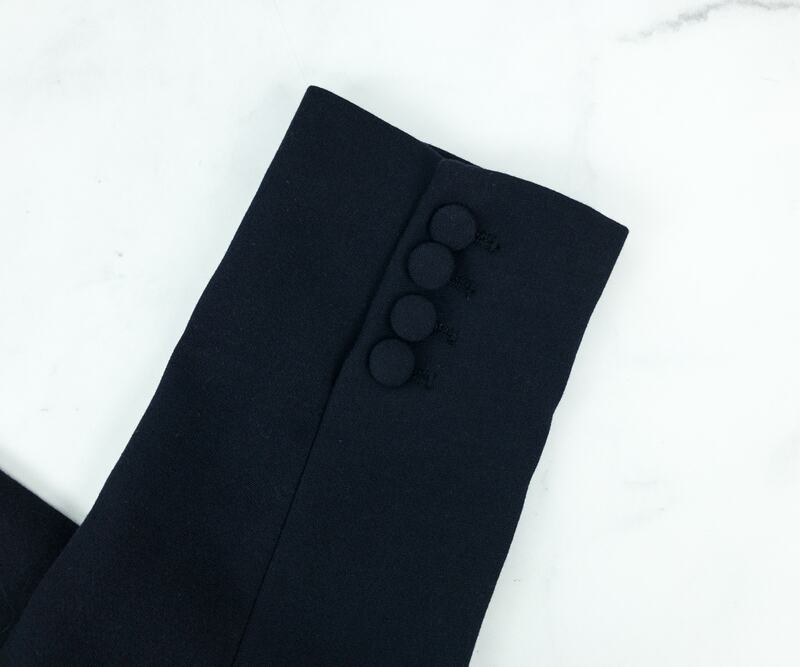 Your look with these trousers will actually depend on you. The fabric is Unstainable, and really soft and comfy too. The Cutler. 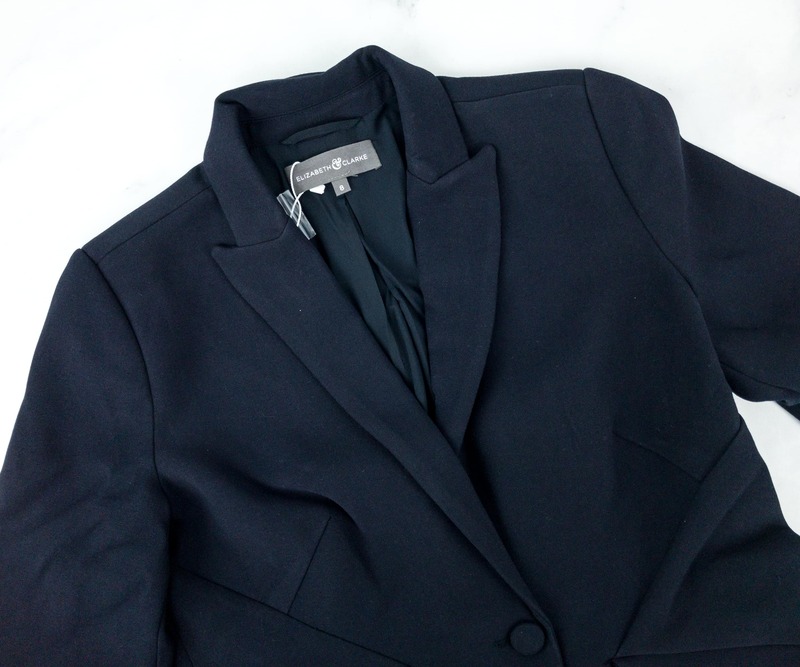 A modern take on the suit for the modern working woman, the Cutler is a midnight navy blazer that creates a hyper-feminine silhouette. 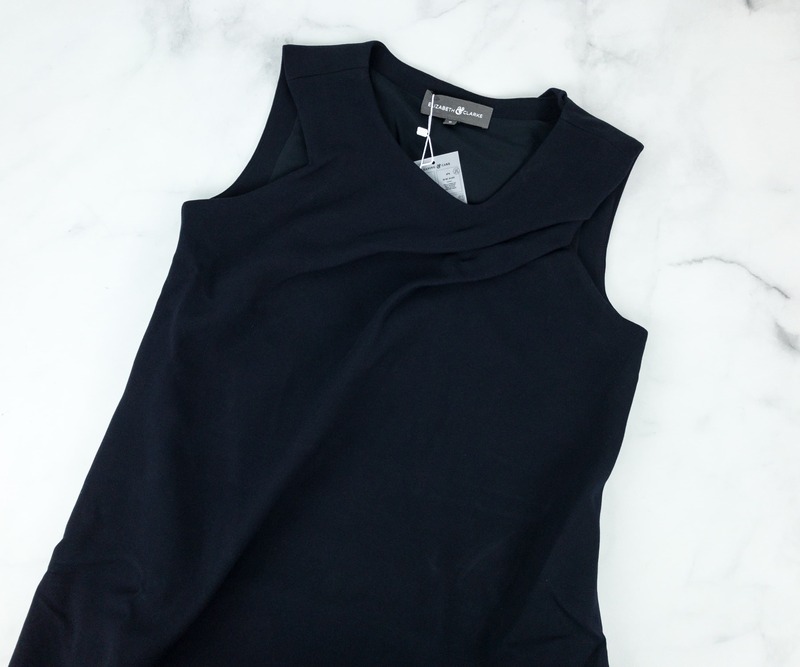 It’s also made from Double-Knit Ponte, and the fit also runs true-to-size. 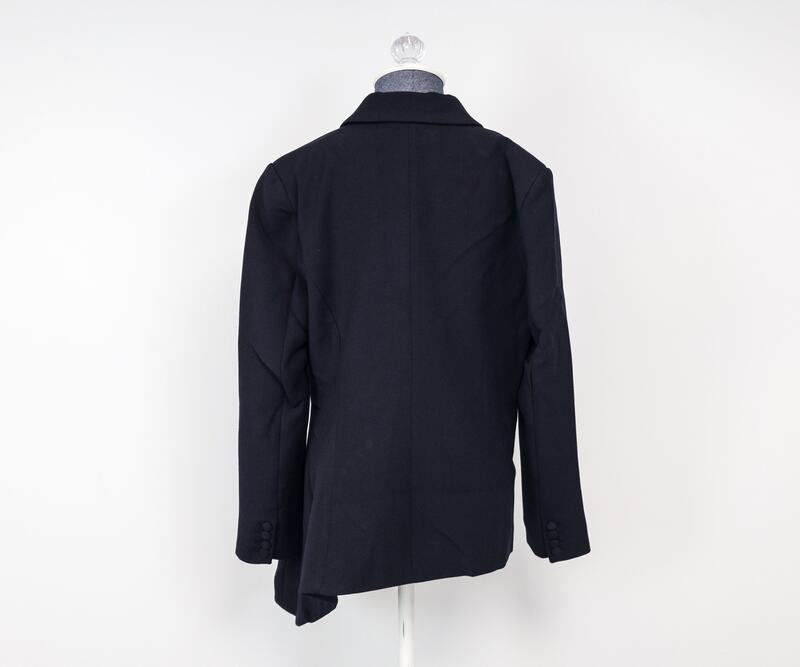 They added some feminine details like a sophisticated peak lapel. 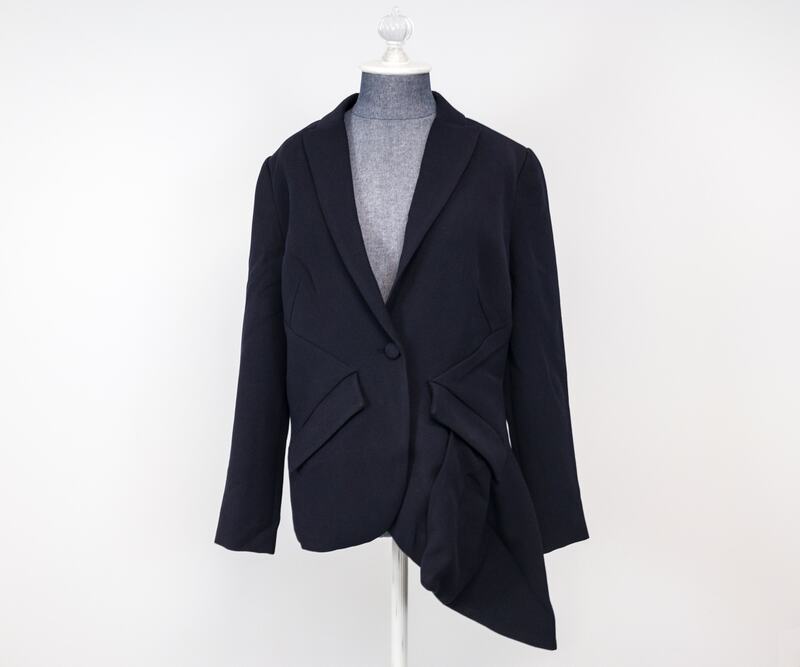 It also has an asymmetrical drape, which made the blazer interesting, and which also adds more feminity, fun, and beauty to your professional look. It also has pockets inside and out to hold more stuff. Aside from being Unstainable, it’s also Sweat-Proof, which is a lifesaver in a suit. 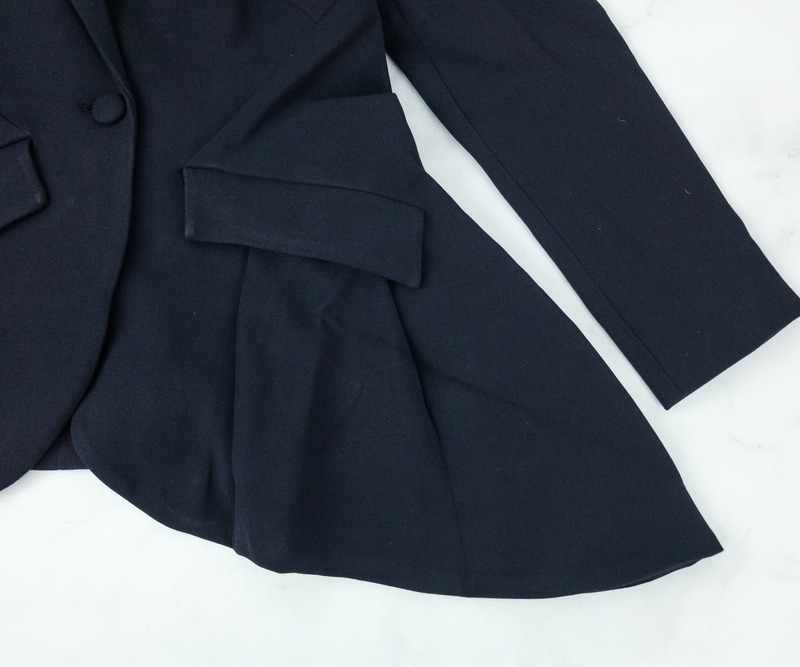 On the blazer’s cuff, there are several sleeve buttons. We tried to put it on our dress form stand to see how it looks when worn! 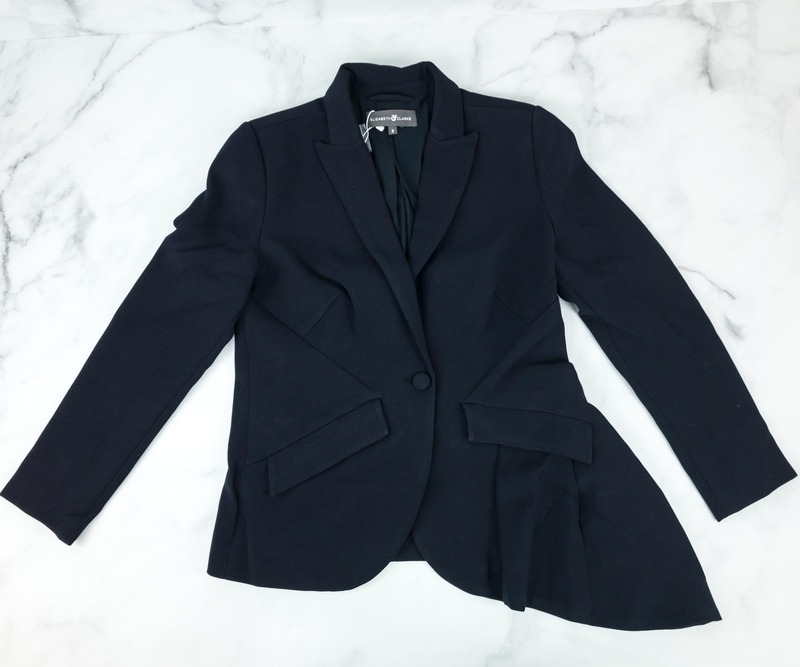 The blazer looks chic, and the style is just right for a stylish working woman! The Atwood. 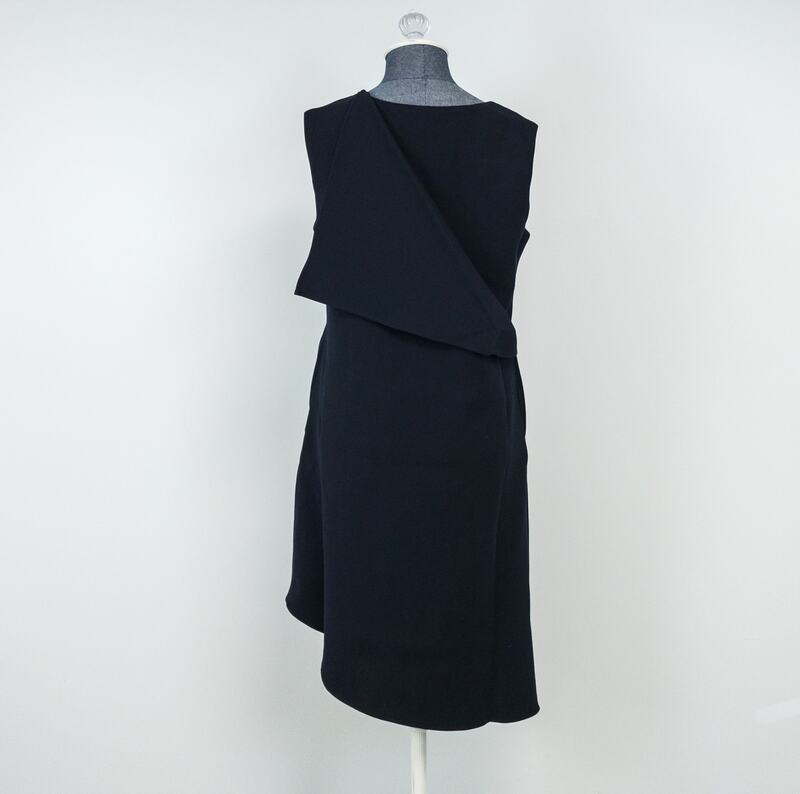 If you don’t feel like going to work in a pair of trousers or pants, this midnight navy A-line dress is just perfect! The dress is semi-fitted at the bust and loose throughout the waist and hips to perfectly suit every body type. They also did a geometric shaping at the armholes. 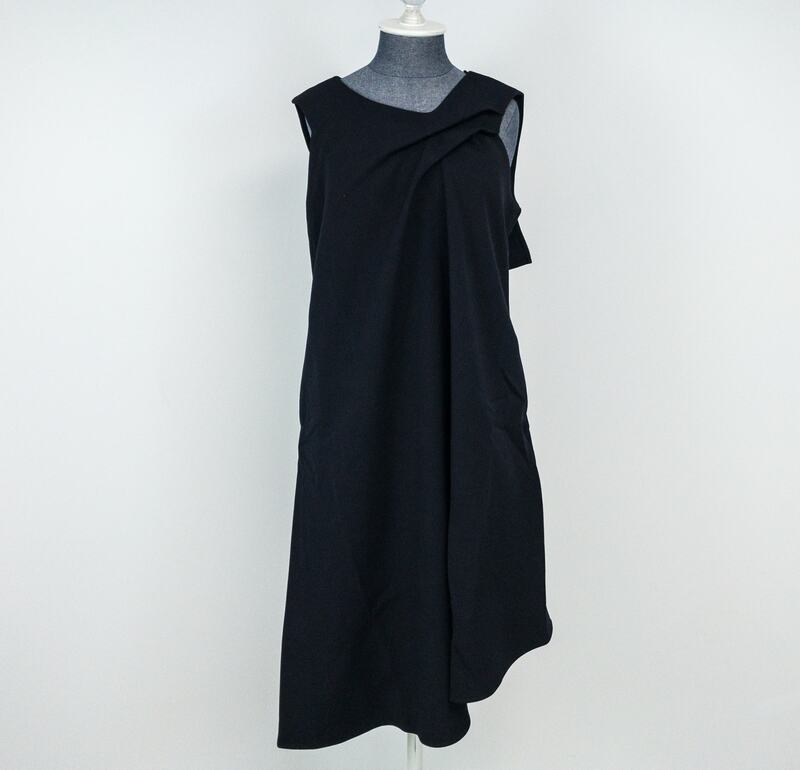 It also has a gorgeous asymmetrical hem, with a soft gather at the center front. Also, they included an elegant hand-draping that creates a stunning movement and well, for added drama. It also has pockets so you won’t have to worry about small items that you need to bring without the extra bulk on a bag. 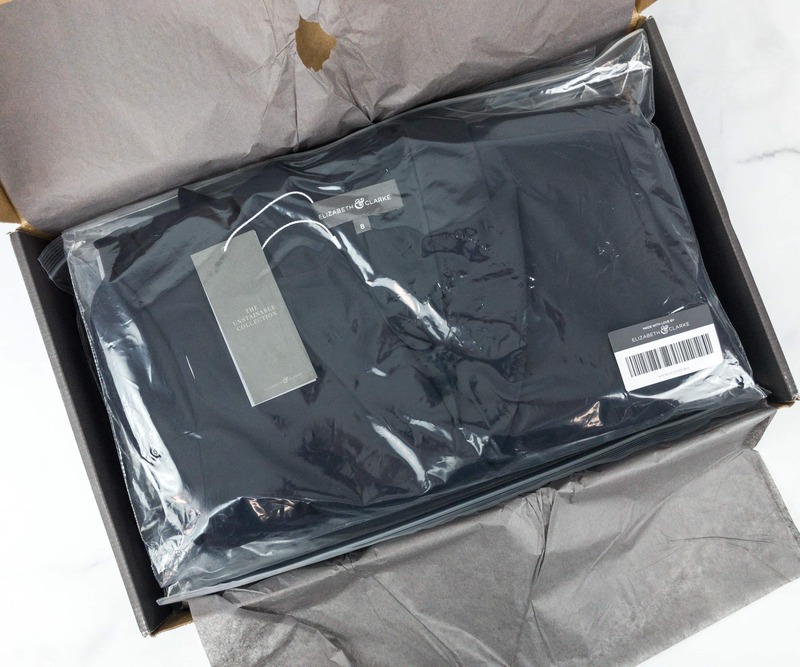 This is their first ever Suit Separates and I am truly impressed with the 3 pieces of clothing included in this box! Everything is made of Double-Knit Ponte which is a really luxurious fabric and, of course, they didn’t miss to make the set Unstainable and Sweat-Proof, which solves some of the worries we have when it comes to professional-look styling. 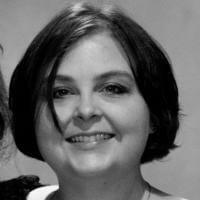 They’re all fit for the classic and modern working woman look! I love the cropped trousers, as I can style them however I want. 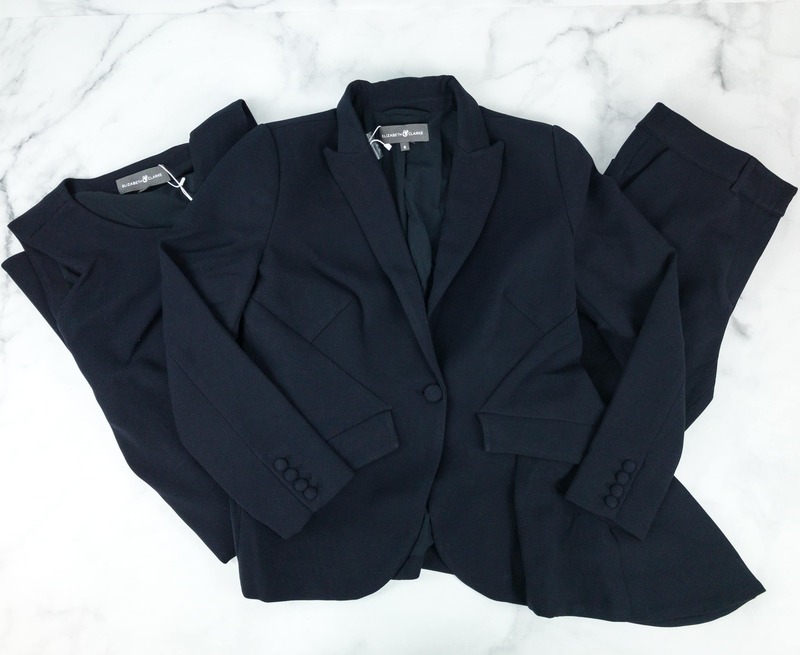 The blazer’s style is really a nice and chic take on the suit jacket, and the A-line dress is beautifully elegant for office attire. I actually love everything in this box! What are your favorite separates this season? Shirts by subscription. 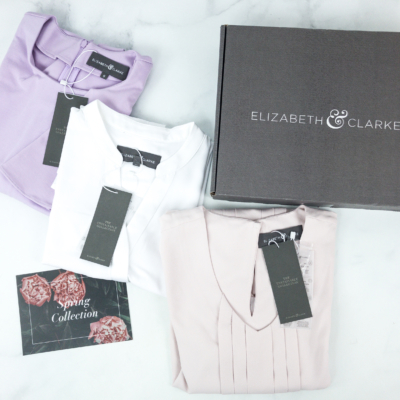 Designer-quality blouses delivered to your doorstep each season, without hassle or the department store pricetag. 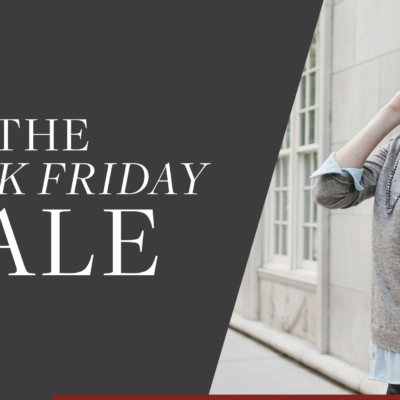 Save 10% on your first box! Use coupon code CHELLO10.